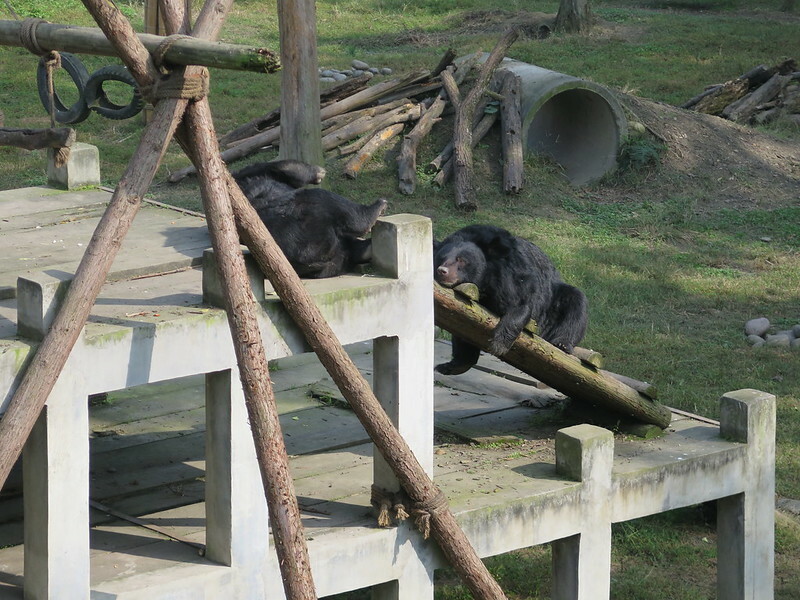 Ki was a recently weaned cub when she was rescued from a bear bile farm and brought to Animals Asia’s sanctuary in China in 2005, along with her mother Starlight and sister Chi. For the first decade or so of her new life, Ki seemed to be as carefree as can be, lucky to have escaped a lifetime of torment and pain. Once settled in at the sanctuary, Ki was often found playing with her sister or foraging in the grassy enclosure with all its interesting sights and smells, trees to climb and pools to splash in. Despite their close bond, the sisters, like many other siblings, began to reveal very different personalities as they got older. 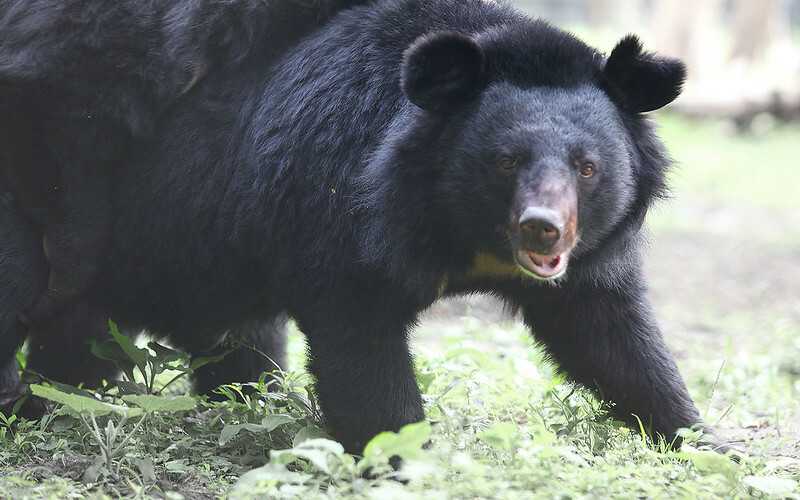 Chi was more outgoing and revelled in boisterous wrestling sessions with other bears, whereas Ki proved to be more fragile in temperament and notably began to shy away from other bears in search of solitude. Sadly, Ki’s anxiety appeared to deepen over time. 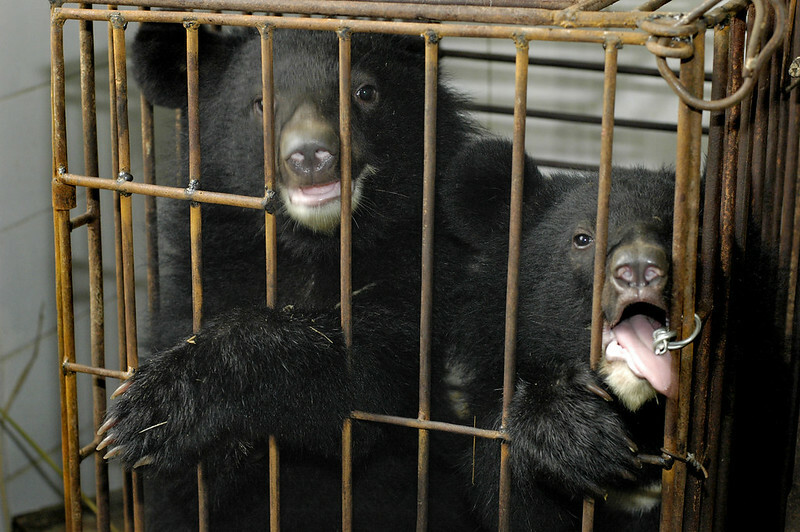 She became more submissive and withdrawn, largely avoiding the other bears in her group altogether. It was heartbreaking for Ki’s carers to see but they were determined to save her again, this time from loneliness. So they created more space for her to roam and built new climbing frames and platforms to try to make her more comfortable. 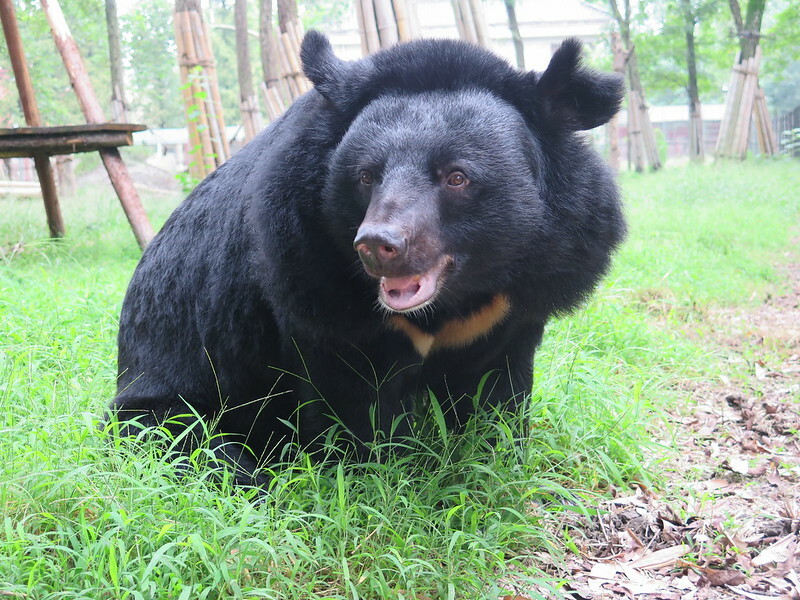 They introduced her to another group of bears, hoping especially that the gentleness of Bao Be, an older male bear, would coax her out of her shell. 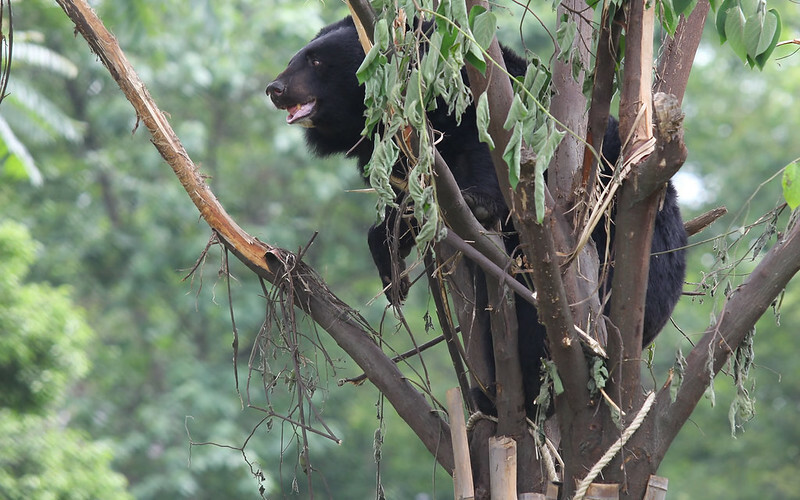 Bear Manager Molly Feldman began to win Ki’s trust by spending as much time with her as possible, offering her delicious snacks and reassurance that she is loved. The result of these painstaking efforts? 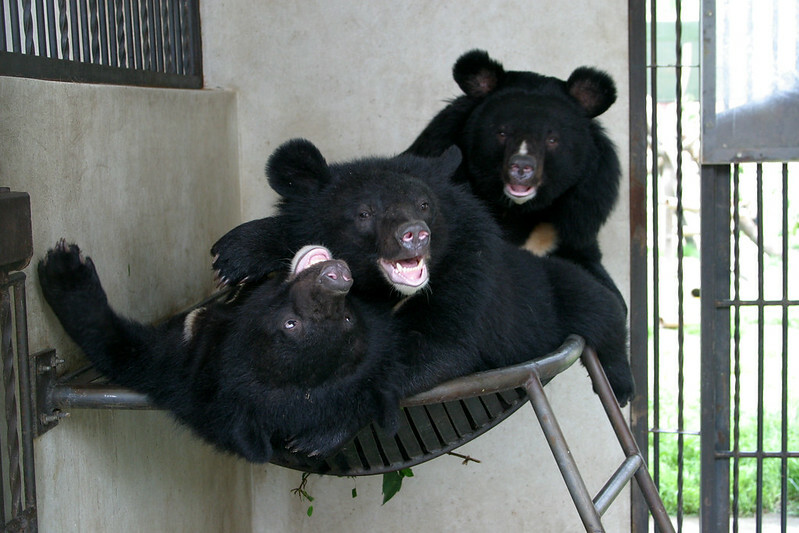 A much happier, confident bear at ease with her new playmates and the world. “Ki’s transformation is nothing short of miraculous. The Ki of today is not the anxious, submissive bear we once knew. She’s the heart and soul of her group, always there for a tree party, a kiss with her buddy Wang Cai or a mid-afternoon nap with her friends.